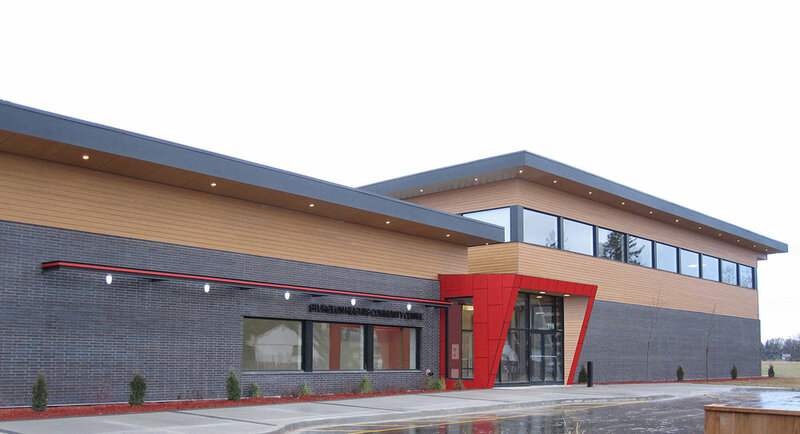 Sturgeon Heights Community Centre | prairie architects inc. Working closely with the local community, the City of Winnipeg and General Council of Winnipeg Community Centres, the design for an 18,000 square foot facility features a 5,900 square foot gymnasium, large multi-purpose room, attached Zamboni garage, canteen, four change rooms, and accessible shower facilities. Showcasing the display of sport inspired the form of the building. 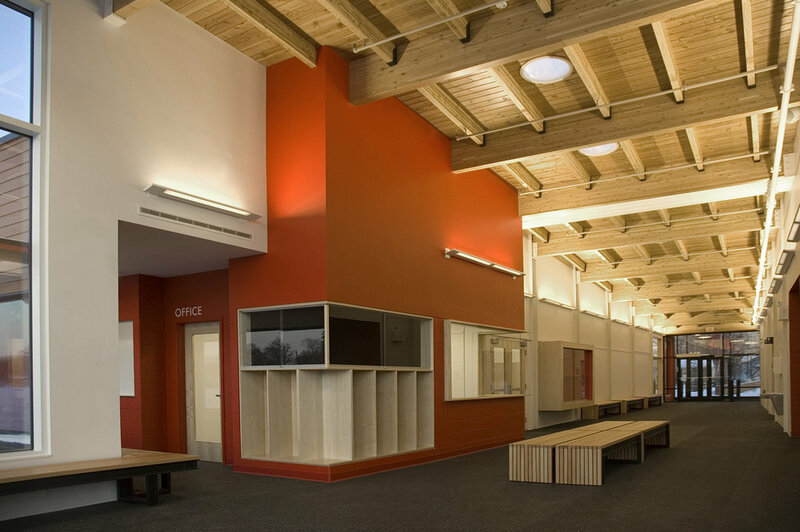 The lobby’s glue laminated timber ceiling soars towards the exterior playing fields and hockey rinks, affording the community multiple views out. The lobby is a main artery for all the buildings activities. A two-sided trophy case with views from the lobby to gym and ample interior glazing connect spaces within. Bands of clerestory glazing allow natural light to fill the gymnasium and reduce the need for artificial lighting. The project was originally mandated to be LEED silver, however through the hard work and team effort between client, architect, and contractors, the building received LEED Gold certification. Sturgeon Heights Community Centre was completed in January 2012. Read the article Residents get look at new community about the community Centre in Metro.